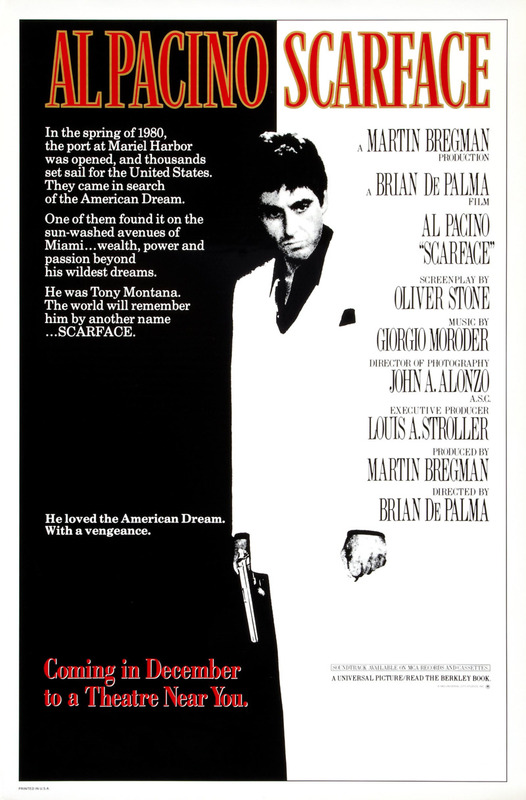 Tony Montana, a scrappy Cuban immigrant fleeing Castro’s communism arrives in Miami in a wave of immigration. He and his friend Manolo find themselves stuck in a refugee camp positioned under the local freeway, which he is eventually able to escape with his green card by assassinating a political figure. They take jobs but quickly discover that cocaine sales will bring greater rewards. Tony eventually takes over the local drug ring and installs himself as the leader. He quickly degrades into a state of paranoia and drug abuse, which results in the ultimate deaths of his sister, Manolo, and himself. 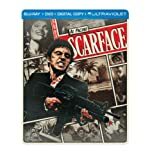 He meets his end when Bolivian gangsters attack his compound and he faces death in a drug-induced rage.